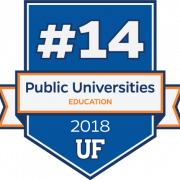 The UF College of Education jumped five spots in the US News annual rankings of America’s Best Graduate Education Schools–placing 14th among public education colleges and 24th overall. 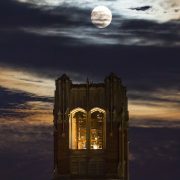 Once again, that makes UF the top-ranked education college in the state and among public institutions in the Southeast. A University of Florida team of psychology and education researchers has received a $1 million federal grant to pilot-test novel training methods designed to advance the skills and effectiveness of school resource officers in mediating school crimes and student violence and promoting a strong sense of community among students and school staff.